A scent for all seasons - a selection of the newest colognes on the market. 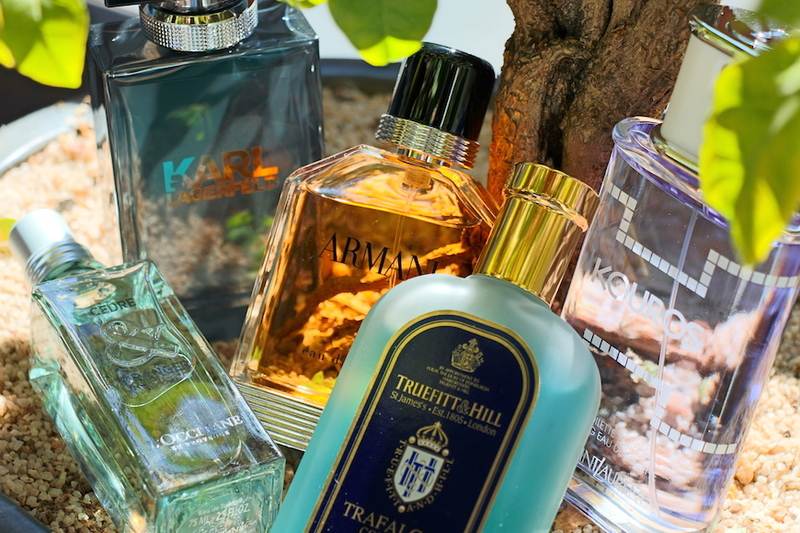 The new scents for the season – some great new fragrances hit the SA market. Its going into Summer in the Northern Hemisphere, and with that all the fragrance and fashion companies are launching their new products, in the hopes that their new creations will generate a nice return. And here they are, a selection of the newest fragrances to hit the counters at Stuttafords, Edgars, and well, even in some of the least expected places, such as the Victorian Bathrooms company. And without much ado, here are the 5 newest fragrances that promise seduction, sophistication, English poshness, Mediterranean slick, or French flair. A scent for all seasons – a selection of the newest colognes on the market. This is a light and captivating fragrance, with a blend of spicy, woody and other relaxing notes. There are cedar and sandalwood, jasmine and spices in the composition. For: The English Prep wannabe. Yes, its the ultimate cologne for the perfect English gentleman who wants to give off the air that he has just jumped out of the shower after finishing a class at Oxford. For: The guy who wants to make a statement…at Cape Town Fashion Week. Yip, its the ultimate cologne for the male fashionista. The composition is announced as citrusy – chypre – woody, made of notes of bergamot, aldehydes and star anise. Its heart is dominated by deep, earthy and warm patchouli enriched by geranium, follow by a mystical trail of incense and cedar from Virginia . For: No, by spraying this on, you will not magically be transformed into a browned Grecian model. Its a great cologne if you are yearning for Summer. Its Armani, baby! Like Lagerfeld, Armani is trusted the world-over with setting fashion trends that millions adopted each season. So, just trust that a man that makes billions from making people look good. Its a manly scent, something that you would think George Clooney might wear; a mixture of Italian Bergamot, Coriander and Cedar. For: The Italian stud. Enough said. As part of the Grasse series, the Cedar and Orange EDT combines the cedar notes and bright orange accents. The initial orange surge is tamed by the softer, richer cedar woody notes, that makes you feel as if you have just wandered through a Cedar forest eating an Orange (and dodging a bear and a few bees). For: The guy who wants an unusual scent. It’s combination of Orange citrus and woody cedar notes is very interesting and rather appealing. Availability: Well, sorry, but this one is not yet in the country (I got this one in Singapore), but put a little pressure on L’Occitane SA a bit, and they might just bring it on. Winter dry skin busters – a selection of some great moisturisers for men.